Holy cabooses! Charlie Stemp, the fancy-footed Oliver nominee who recently concluded a Broadway-debut run as Barnaby in Hello, Dolly!, will show off more dance moves in a West End return production of Mary Poppins next year. 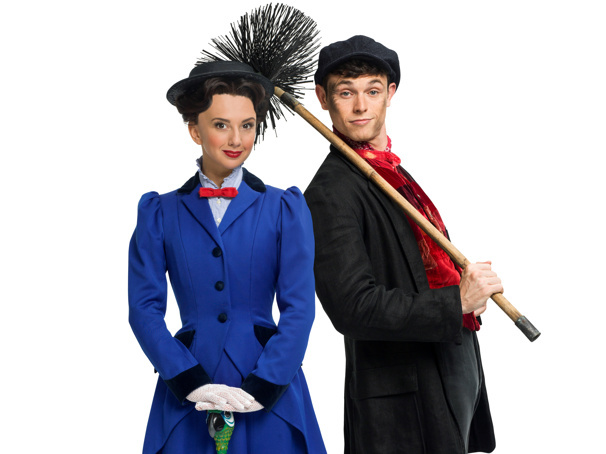 Stemp will take on the role of Bert, appearing alongside past Poppins star Zizi Strallen in the title role. Performances will begin at the Prince Edward Theatre in the fall of 2019, with exact dates to come. Stemp earned a 2017 Olivier Award nomination for his turn as Arthur Kipps in Half a Sixpence, also earning a 2017 Carl Alan Performer's Award nomination. For the Chichester production, Stemp received a 2016 UK Theatre Award nomination for Best Performance in a Musical. His first professional stage appearance was in Wicked at the Apollo Victoria Theatre, before playing Eddie in the international tour of Mamma Mia! In addition to past performances as Mary Poppins, Strallen's stage turns include a current run in the U.K. premiere of Strictly Ballroom: The Musical, which is slated to conclude its West End run on October 27. Strallen's other credits include The Music Man, Merrily We Roll Along, Follies, The Car Man, Cats, Scrooge, Hairspray, Chicago and Rock of Ages. The creative team for Mary Poppins, which originally opened in the West End 14 years ago, is led by director Richard Eyre, with co-direction and choreography by Matthew Bourne, co-choreography by Stephen Mear, set and costume designs by Bob Crowley, lighting design by Natasha Katz, sound design by Paul Gatehouse and orchestrations by William David Brohn. The stage production is co-created by Cameron Mackintosh and has a book by Julian Fellowes.